From 70’s Mission Brown to the Modern Surf Mist. Roof colours have certainly come a long way over time. With many new products being created and improved daily, there really is no better time to give the outside of your home a facelift. What a refreshing difference a Roof Restoration can make. Have you ever been curious what the steps are to a roof restoration? No worries, we’ll tell you right now! ● Inspection/Repair/Replace. We assess the condition of your roof and advise on what needs to be repaired or replaced. ● The roof is high pressure washed to remove grime, dirt, leaves and leave a clean, prepped surface. Call us today for a FREE no-obligation quote. Your property is one of the biggest investments you will ever make. Therefore, it is important that you stay on top of all damage that may occur. Particularly on the roof and around the gutter and downpipes. Don’t let your roofing issues become a significant issue. Get it fixed today. Queensland has some extreme weather patterns that can cause damage to a home. As such, damage to your homes roof can lead to bigger issues in the future. At Choice Roof Repair, our team has extensive experience working on residential roofs. We can repair and restore both metal and tile roofs without too much disruption. Restoring your roof will add years to the life of the roofing material. Much like residential roofs, commercial roofs are not immune to damage. Repairs and restoration to a commercial roof, with give the building a new lease of life. We have worked on many commercial roofs throughout South-east Queensland and have added much needed visual appeal to those properties. There is no job too complex our team can’t handle. Before any repair, we assess the integrity of the roof and make recommendations on how to best care for the roof. Both residential and commercial roofs will eventually need to be repaired. To book your roof in for a repair, contact Choice Roof Restoration today. Our number is (07) 3294 6706. All clients, regardless of whether they own a residential or commercial property, are treated with the same care and respect. Choice Roof Restoration is committed to ensuring each client receives the best workmanship and service. There is no job too complex to handle for our team. We have worked on all residential and commercial properties throughout Ipswich and surrounds. Service is about communication and respect with our clients. Which is why we always ensure our clients are kept in the know when working with us. Quality workmanship is important in any industry, but particularly roofing. Too often, clients pay good money for work that is not up to standard. At Choice Roof Restoration, we believe our clients should have a say on the workmanship we provide. Both the business and our employees hold the relevant licenses. We are confident in our workmanship and don’t want a client to pay until they are happy with the work. Choice Roof Restoration is committed to providing exceptional service to all properties. For more about our roofing services, call us today on (07) 3294 6706. Choice Roof Restoration is a family owned business in Ipswich that specialises in the roofing industry. Through extensive training and qualification, our team has the knowledge and experience to handle any job. Choice Roof Restoration has a team of highly qualified professionals, some of which have over 20 years’ experience in roofing. During that time, we have worked on all property types. As we are a local business, we understand the landscape of the region we service. Local knowledge and industry experience is something many businesses just don’t have. This is crucial when it comes to delivering exceptional workmanship and service to a roof. Service is all about communication and respect with our clients. This allows us to work to the best of our ability while ensuring the client is happy with the work. Our team is willing to go the extra mile (literally) to ensure your roof is 100% restored. It is our mission to ensuring clients are happy with our workmanship and customer service. 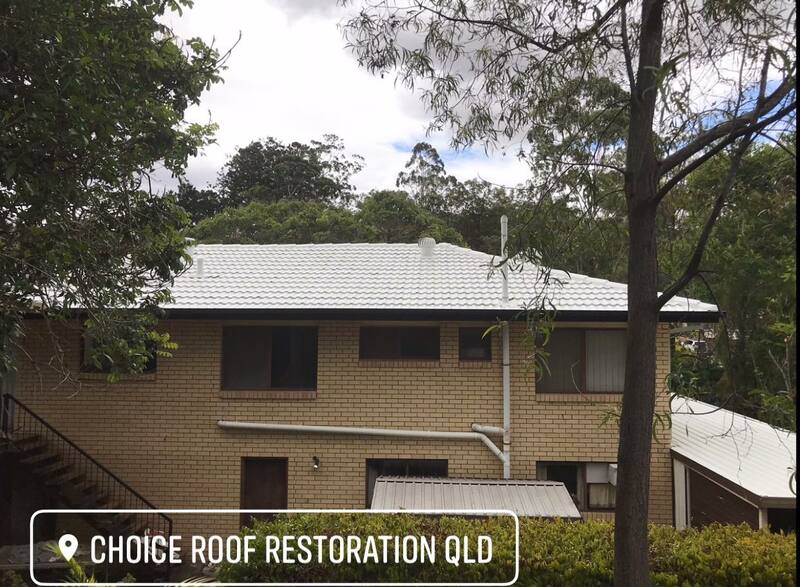 From humble beginnings, Choice Roof Restoration has become the leader in roofing services throughout Ipswich and South-east Queensland. 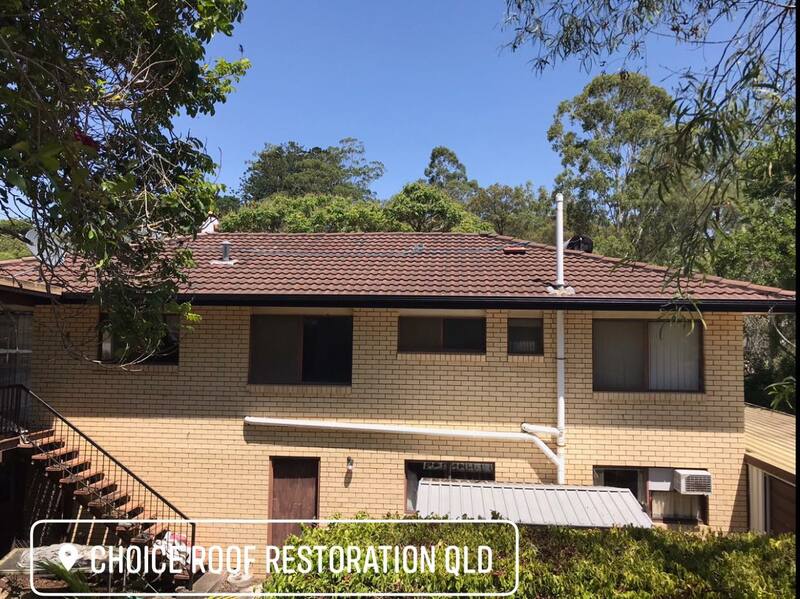 To book your roof in for a service or repair, call Choice Roof Restoration today on (07) 3294 6706. DIY home renovation and improvement have increased over the last decade. However, too many homeowners are putting themselves at risk of injury due to a lack of safety. Don’t risk it, call a roofing professional for all your roof servicing needs. The surge in DIY popularity has also seen a big increase in the number of accidents around the home. Time and time again, people are putting themselves at risk because they are ignoring safety protocols. As a professional roofing business in Ipswich, our service team adheres to all safety guidelines when working. By doing so, we ensure the worksite is safe to work on, and personal safety isn’t compromised. With years of experience in the roofing industry, Choice Roof Restoration know the importance of quality workmanship. When it comes to DIY restorations, too many homeowners are learning as they go. Of course, there is nothing wrong with that, but the quality of work may not be sufficient. Our qualified team has significant experience in the roofing industry, which reflects through our workmanship. As a leading roof specialist, Choice Roof Restoration offers a 10-year warranty on workmanship, materials and against leaks. This gives clients peace of mind, should anything happen to their roof. As a family run business, Choice Roof Restoration knows the importance of safety when it comes to roof repairs. If your property needs work done to it, please call us today on (07) 3294 6706. As a roofing specialist in Ipswich, we have helped many homeowners repair and restore their roofs. Although they may sound similar, there is a distinct difference between the two services. A roof restoration is a process in which the entire area of the roof is sealed and coated. Before the restoration, all damage must be repaired. If not, the adhesive can seep through to your home’s interior. Once repaired, the roof is cleaned using a high-pressure hose. It is sealed with strong primer sealer and 2 top coats of roof coat membrane bonds to the roof. Roof repairs are often needed with fixing minor damage. Depending on the area of the roof, and the significance of the damage, repair times will vary. In some cases, damage may be unrepairable, and a re-roofing may be needed. However, this will be determined once the inspection is complete. If you are not confident in climbing onto your roof, Choice Roof Restoration servicemen will happily inspect your roof. Once the inspection is complete, we will advise you on how to best service your roof. Older roofs will generally need to be resealed to restore strength to the surface, to protect your home from the elements. Whether your roof needs to be repaired or restored, Choice Roof Restorations is here to help. If you would like to book your roof in for our services, contact us today on (07) 3294 6706.
us at the forefront of quality workmanship. all restorations and repair work is satisfactory upon completion. and are kept up to date with the work progress. contact us today by calling (07) 3294 6706.